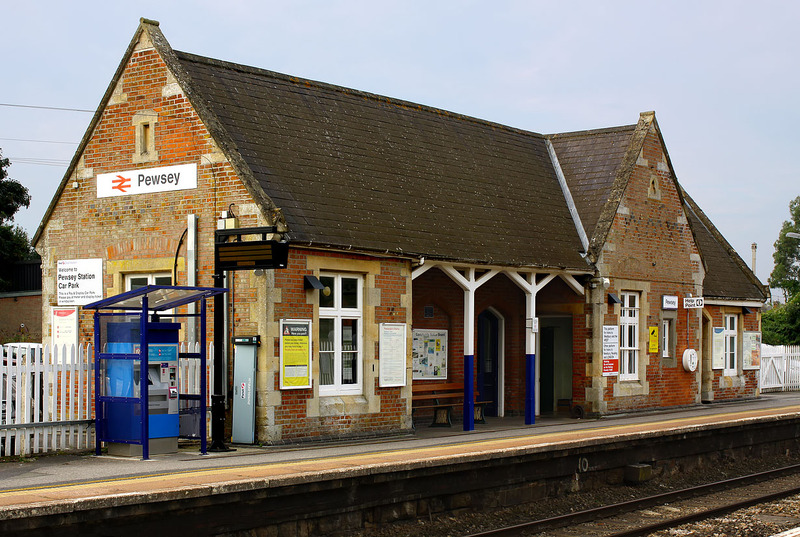 Pewsey station building, pictured from the platform side on 23 August 2013. Note the small integral canopy, which is sheltering a typical GWR station bench. The Victorian structure has been brought up to date with various modern fittings, including an audio help point, portable access ramps, automatic ticket machine and the inevitable posters reminding you to pay for car parking!